On 5-7 September 2014 Jay Faber’s Counterpunch article, “Imperial Civil Society, False Fronts for Wall Street”, Jaber writes about “compromised NGOs” such as Avaaz and Amnesty International, the foundations and other entities that fund them, and how they have become “imperial civil society” cow towing to Wall Street, and being used to “justify privatization, austerity, and military aggression by NATO and the US”. Sometimes, one gets the feeling that Eritrea is a European state… as those around the table are almost always Caucasians, with the members of the Eritrean Quislings League (EQL) serving as the “Eritrean faces”. Most of the papers are placed in “academic journals” and other repositories not easily accessible to the general public, and if they were, the Eritrean public was not aware of their existence. Heck, even the Eritrean Studies Association is run by scalawags and carpetbaggers…hence its slow demise. Well, Eritreans know a thing or two about “elaborate and persistent demonization of chief opponents of US”, as Eritrea has been subjected to a number of defamation and vilification campaigns coordinated by the western media and NGO networks. It was not difficult for Eritreans to see through the gimmicks and ploys (as they mimicked others-especially the regime in Ethiopia) in their band wagon campaigns (terrorism, “religious freedom”, Diaspora Tax, forced labor and now human trafficking). There was nothing creative or imaginative in their copycat campaigns. More importantly, their campaigns proved how disconnected they were from Eritrea and her people. Eritreans in the Diaspora were introduced to the carpetbaggers and scalawags in 2001 when they organized, participated in and advanced the orchestrated campaigns against the State of Eritrea and its leadership. While Eritrean “civil society” groups were mushrooming in cyberspace, the carpetbaggers were setting the groundwork for their long term agenda against Eritrea. Silencing/co-opting of the Eritrean academics, scholars and intellectuals was the first step. While these “research” papers were accessible to the many Eritrean academics and scholars at the various educational institutions in the United States and Europe-but for some reason-they have not been able to respond to the deluge (see below for a list of some of the published items on Eritrea). As has been stated in the past by this author, the silencing of Eritrea’s academics and scholars, to turn their backs on Eritrea and its newly established government, was the first transparent method used by Eritrea’s detractors as they set out to undermine Eritrea’s economic, social and political development. Judging from the literature on Eritrea that has been disseminated through academia and the media, the distortion was by design-and by silencing the Eritrean intellectual- the new narrative on Eritrea could be produced and the silence of the Eritrean academics, intellectuals and professionals was guaranteed. So what is the purpose of writing about Eritrea and Eritreans, when there is very little input from the majority of Eritreans in Eritrea or in the Diaspora? The carpetbaggers pretend to care more about Eritrea, or presume to know what is best for Eritrea and its people, than the Government of Eritrea and the people of Eritrea, yet very few Eritreans in the Eritrean Diaspora communities around the world have ever heard of these “researchers” or read any of the papers they have produced on Eritrea-with the exception of the scalawags in their coterie. The author also finds it interesting that with over a million Eritreans in the Diaspora, these “researchers” rely mostly on information laundered by the NED sponsored individuals and groups or, asylum seekers and refugees, who can hardly be considered as being credible or neutral. The many articles, papers and books about Eritrea were written mostly to influence American and European public opinion. The EQL has over the years discounted the role of the CIA in Eritrea and have tried in vain to convince the Eritrean people that the cyber “struggle” is being waged on their behalf by genuinely caring individuals and groups. Prima facie evidence points to the contrary. There is very little doubt that members of the Eritrean Quislings League are groomed, financed and promoted by Ethiopia, Washington and its allies in Europe. 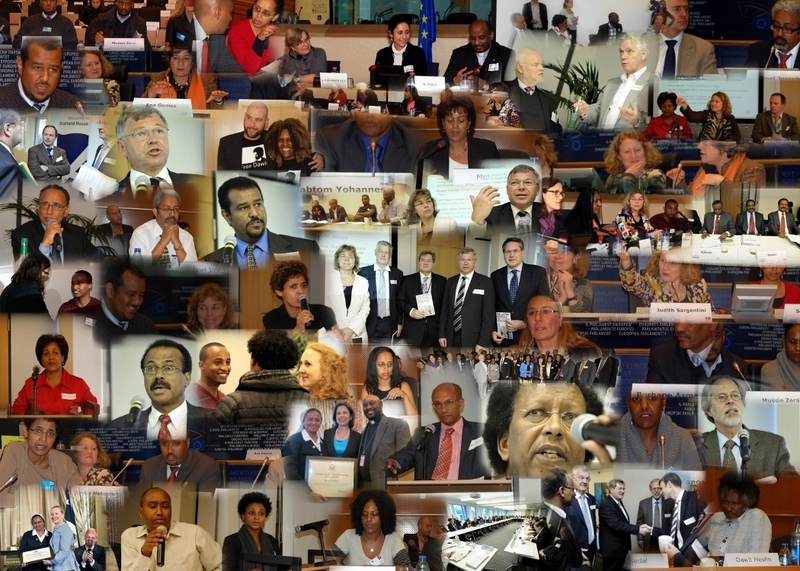 The 14-year long defamation and vilification of Eritrea and its leadership, the coordinated media blitzes, and the many articles and reports being generated about Eritrea, her people and her government come from individuals and groups who are directly or indirectly funded and supported by the Albert Einstein Institute (AEI), the National Endowment for Democracy (NED), Amnesty International (AI), Human Rights Watch (HRW), Committee for the Protection of Journalists (CPJ) and George Soros’ Open Society and others. So no matter what their stated agendas and covers…in the end…He who pays the piper picks the tune! Eritreans are also familiar with the many petition sponsored by Avaaz, whose vast network is used to garner support. These groups who do not represent the people of Eritrea or the Eritrean Diaspora, partner with Amnesty International, Christian Solidarity Worldwide (CSW), Human Rights Watch (HRW), Avaaz and others to take advantage of their access and vast networks. 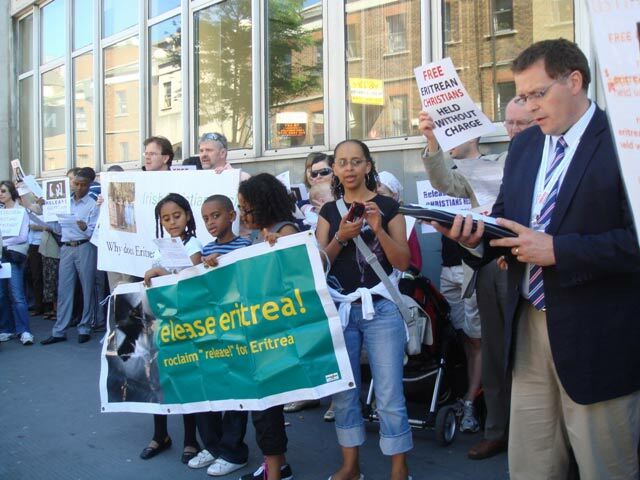 The innocent individuals and groups that are signing these petitions have never even heard of Eritrea, let alone know of its leadership and the conditions of its people. These petitions and letters sent though the “networks” have been used as evidence of discontent by some governments, and agencies such as the US Commission on International Religious Freedom. The external “false fronts” also need internal “false fronts” and there have been many created in the last 12 years. 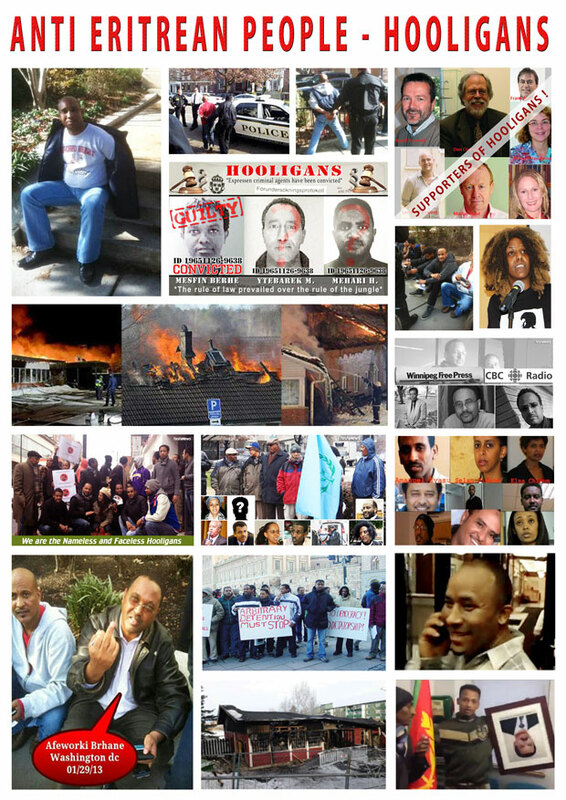 Let us take a look at some of the groups that mushroomed in cyberspace since the Eritrea Ethiopia border conflict (1998-2000) and at the various articles and reports produced in the bid to create “images of despair” and the desperate narratives on Eritrea. At one point there were over 50 cyber groups and organizations, and that is when the author baptized them as the Eritrean Quislings League, as it was becoming increasingly difficult to keep track of their alphabet soup titles and bandwagon causes. Most have since vanished, and some have transformed into the more lucrative “refugee assistance” and “asylum services” NGOs. East and Horn of Africa Human Rights Defenders Project (EHAHRDP)-Elsa Chyrum founding member and focal person for Eritrea. Supposedly, by having many different organizations, they hoped to make it look like there was “widespread” discontent with the Government in Eritrea. In 2001, the author had dubbed these “cyber” activists as being “FUDists”-those who insist on spreading Fears, Doubts and Uncertainty about Eritrea and its future- unable to respond with hard facts, they chose instead to resort to scare-mongering to cast a shadow of doubt over Eritrea and its leadership. But that did not stop Tricia Hepner and her “partners in crime” from providing them with unfettered access and multiple forums from which to spew their filth. After all, it was more palatable if it came from Eritreans themselves…even if the “how to” manuals were produced elsewhere. These organizations and groups also work very closely with the minority regime in Ethiopia and have campaigned and petitioned governments and international organizations to sanction Eritrea, stop development and humanitarian assistance, isolate Eritrea diplomatically, economically and politically. Eritrea, whose name was purposefully banished from all western media during the bitter 30-year struggle, a country whose people were massacred and its infrastructures brought to rubbles as the powers to be took turns arming Ethiopia during the long and bitter struggle for independence, peaked little interest in the halls of western academia, or even the various human rights and religious institutions, that are falling all over each other to pen articles, reports, thesis papers, and all sort of research on Eritrea today. But as soon as Eritrea became independent, using various pretexts and opportunities, the carpetbaggers descended on Eritrea like vultures, with their various “research” projects. These papers are not widely published as they are not meant to garner attention of the Eritrean people in Eritrea or in the Diaspora-who will no doubt debunk the inaccuracies contained in these narratives. This is also, not by any means, an exhaustive list of all that is being churned out about Eritrea the various information launders-“anthropologists”, “journalists”, “photographers” “humanitarian workers” etc. etc. who claim they just happened to stumble on Eritrea…A quick look at their Curriculum Vitae will provide the readers of the many other publications and presentations on Eritrea. It is mind boggling and unprecedented. They write about EPLF’s narrative on Eritrean history and why it should be discounted, but the irony here is that members of the EPLF have yet to pen a single article or book to tell that story. Eritrea’s gallant and unparalleled struggle has yet to be told in full. So what narrative are they complaining about? They have also distorted Eritrean identity, culture and nationalism. These western “experts” and “researchers” also write extensively about the “militarization of Eritrean society”. Interesting concept coming from the very descendants of those who introduced “militarism” to Africa and who themselves rely heavily on their own military capacities to advance both domestic and foreign policy agendas. The themes are similar-the notion is to undermine every single budding Eritrean institution. Each one has been targeted for attack and ridicule. First we were told that the Eritrean People’s Liberation Front (EPLF) was “anti-intellectuals”, and then we were told that the EPLF and now the Government of Eritrea were “afraid of intellectuals”, and then we were told that they were incapable (not qualified) of governing Eritrea etc. etc. Since they do not know the people of Eritrea (marrying an Eritrean does not mean they know what every Eritrean needs or wants), they have relied on their anonymous “informants” and the scalawags to craft the narratives on Eritrea. Let us take a look at some of the comments made by these scalawags, no doubt these sentiments are repeated often amidst the carpetbaggers. But the contempt for the Eritrean people seems to be the one thing the EQL have in common-other along with self-aggrandizement, greed (power and money). No Eritrean is illiterate about issues concerning his or her country. Ms. Chyrum ought to know that it was not just the tiny “elite” that brought Eritrea’s independence and defended Eritrea’s sovereignty-it was the act of a conscious and patriotic peasant population. It is the same population that is fighting the sanctions that her funders engineered. Simon Weldehaimanot is another one that seems to find discomfort in the ordinary Eritrean… evident in almost all of his writings-I find them to be nothing more than a collection of other peoples (almost all of them westerners) thoughts and opinions, as he has none to offer that is original or his own. The rule of law is a subject that is a staple in almost all of the papers, books etc. written about Eritrea and Weldehaimanot had the audacity to write in several of his papers that law is non-existent in Eritrea. Not wanting to abide by the rule of law does not mean they don’t exist. Eritrea is one of the few countries that had/has its own written customary laws for centuries and the people of Eritrea are recognized for their lawful behaviors and cultures. So who can blame the “false fronts” and carpetbaggers when there are scalawags that are willing to do their bidding and belittle and undermine their own kind? From where I sit…They could all use a healthy dose of humility, lest they really begin to believe themselves….The carpetbaggers and scalawags are no match for the conscious and resilient people of Eritrea. This entry was posted in Uncategorized and tagged Algiers Agreement, Eritrea, Human Rights, Human Rights Council, Mussie Zerai, Religious Freedom, United Nations Human Rights Council. Bookmark the permalink. So you were a Guest research fellow at the Legal Pluralism Group, Max Planck Institute for Social Anthropology-but your research was funded by the Swiss National Scientific Foundation (SNSF)-I stand corrected. Hope my readers appreciate the difference. Have a good weekend Dawit…don’t get mad, that is David in Tigrinya. David seems to know more about Eritrea, their 30 years struggle for independence and their history than the Eritreans and its government who fought the war and brought the independence. Well, we cannot blame him as he is doing what he is paid to do so. Tell me where you come from (where you get your fund) and I will tell you where you are going (what you write about). As simple as that. What a shame for a scholar. I like to Thank the author for the wonderfully articulated, well researched article. It was easy to understand layman’s term. This article not only articulate the “Wests’ intentions” for Eritrea (NED’s mission statement), but gives you direct evidence of their manipulating ways; of course this is not limited to NED or AI. Reading this article, I remember hearing from my dad and grandfather about the days of my great grand parents before, during and after colonization. I was aghast to see the same tactic being used today to manipulate, to divide, to disillusion, to confiscate/usurp, …. and to deny Eritrea of it’s sovereignty. Like in the days of Haile Selasie, Eritrea’s fate was decided by everyone except Eritreans! Today, the media and all those who thinks they know whats best for Eritrea voice their opinion never really asking a REAL Eritrean, except the ones with self interest. Like in the days of colonization, annexation, and derg occupation no one cared for the people of Eritrea. No one cared when Cohen from the U.S state department knowingly supplied Ethiopia with arms that killed and slaughtered innocent people (Massawa). No one cared when Isreal armed Ethiopia with cluster (sp ?) bombs that wounded, maimed innocent people. No one cared when Tanks given by the Russians wiped out an entire village of mainly women and children by running over them. It is up to care or not. What I want to know is why can’t you leave it alone and don’t interfere with our nation. Tell me what nation in Africa has prospered as a result of these organizations- NGO’s, AI, NED to name a few. The only ones gaining are these such organizations and those gaining from it- Elsa Chyrum, AWATE group, Daniel Rezene Mekonnen, Meron Estefanos… The list goes on. Eritrean brothers and sisters, lets keep moving. Our nation building is a continuous effort. We have and shall overcome any obstacles. No more of these scare tactics that manipulated our fore fathers. Well, thank you Sofia for putting my minds and thoughts into scientific documentation and publications. The paper simply tells the truth and the minds of the people of Eritreans. Eritreans usually do what they do and don’t talk. Let’s us remember, the NGOs are doing their job, the job they are getting paid to do. This is how they earn their living. The funding governments have short and long term plans of conquering the world and looting its resources. The work of the west governments and their NESs is not democracy or peace of the poor and powerless nations and people. If it was, they would produce similar publications about the misery and agony of Palestinians at least. Let’s us remember as long as their funding governments wanted them to produce the same materials against Eritrea. Exposing them like what Sofia did is what we need to do. Thank you Sofia. Thanks for your wonderful article. Let all the enemies cry full. We know what we are doing and for sure they know what their job. Sofia, keep up the good work. 1. ERITREA: The Modern Day Carpetbaggares And Scalawags. Sophie, the “ሓራስ ነብሪ”,here are the wounded hyenas hauling in front of your door steps. Here are the mad dogs ውሕ ውሕ ይብሉ after they heard the “lioness” roar. It is entertaining to see the rabies-infected “mad dogs” are not Eritreans but westerners who could not even locate Eritrea on the map. And here they are barking like a dog from across the Atlantic Ocean. And here are the Desperados and born traitors knocking their head against the solid concrete wall. How about the foxes that we see in the streets. As usual the foxes are to wait for scrape of bones after the hyena is done. The question when is the hyena to be done? Sophie, “ሓራስ ነብሪ”, thanks a million for making 6,000,000 Eritreans all over the the world proud. Then again, you cannot help it. “ጓል ሓራስ ነብሪ”, ናይ መን ድኣ ክትወስዲ! Wisdom and patriotism is in your blood! Thank you very very much for this!!!!! I am a Black American, I was born and raised in the “West” I know them very well, I see you do too!!!! Thanks sister for telling the world the truth!!! Sister Dr. Ani’s mentor, Dr. John Henrik Clarke, who recently joined the ancestors, characterizes YURUGU as “a pioneering and ground-breaking work dealing with a neglected aspect of European culture. He says Professor Ani “has analyzed the European influence on the world base on what they think of themselves and how this thought affects most of the world. For during the 15th and 16th century Europeans not only colonized most of the world, they also colonized information about the world. “This study of Europe is an intentionally aggressive polemic. It is an assault upon the European paradigm; a repudiation of its essence. It is initiated with the intention of contributing to the process of demystification necessary for those of us who would liberate ourselves from European intellectual imperialism.